Automation is redefining the future of work. Silicon Valley-based startup Bear Robotics has introduced robots that can deliver food to tables in restaurants. 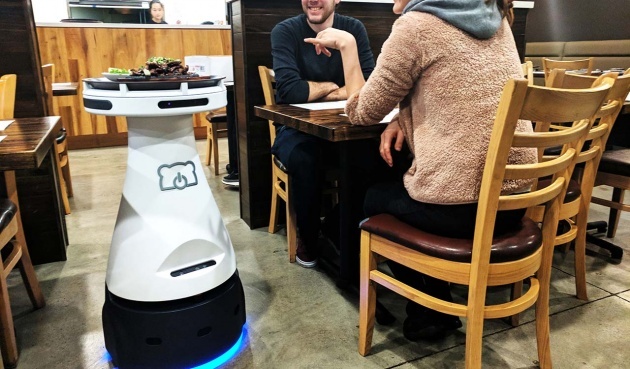 The robotic system, dubbed Penny, uses AI self-driving technology to navigate its way through the restaurant, avoiding people and obstacles. Penny is currently working seven days a week in Ha’s Milpitas-based restaurant. When food is ready, managers use an app to call the robot, which then runs the dishes to the designated table. By taking over the task of running the food and dishes back and forth from the kitchen, servers are freed up to focus on interacting with the clients and delivering greater customer satisfaction.